Solid brass frame with brushed finish. Frame interior lined with copper colored glass. This rare form can be hung vertically or horizontally. 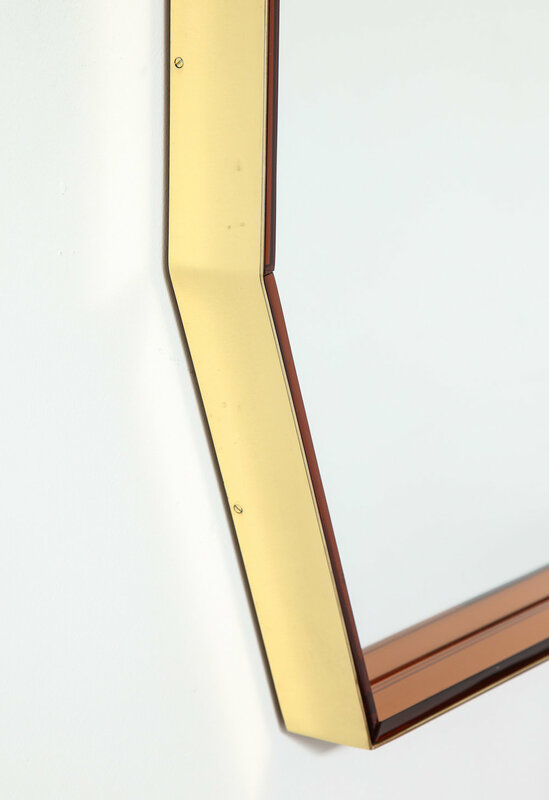 Second matching mirror available. h. 45" w. 24" d. 2.5"
Excellent condition. Brass has recently been polished out and waxed.